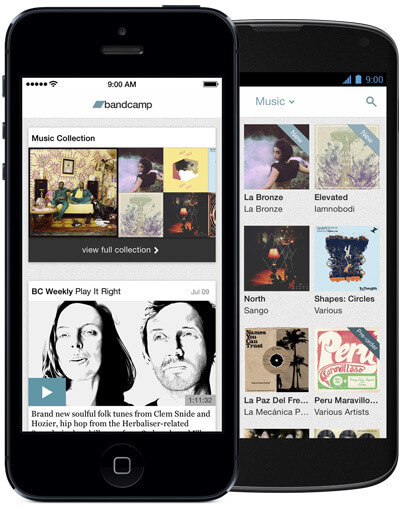 At last, Bandcamp have released an app for Android and iOS. Not ones to rush, the folks over at Bandcamp have been working hard to improve their platform and the changes so far have reinforced their stature in online music consumption and distribution. The final jewel in their grown was of course an app and a few days ago, it was released on the App Store and Android’s Play Store. The app is free and allows you to listen to everything you’ve downloaded off the service, but currently only releases you’ve purchased. Whether that’s a gripe is up to you but the app does let you listen to the Bandcamp Weekly (currently only iOS) and incorporation of more discovery features are in the works.